With SGDQ quickly approaching, we wanted to take a minute to talk about all the events coming up this fall! Between ourselves, speedgaming.tv, and all the community-run ideas, there's lots to take part in, so let's get right into it. The indie studio tinyBuild is no stranger to the speedrunning community, donating a generous $20,000 to AGDQ 2015! Recently, tinyBuild contacted us, inquiring if we were interested in hosting a race of the upcoming remake of their game No Time To Explain. The goal will be any%. The race will be accompanied by a re-stream of some of the top racers, featuring the developers themselves on commentary! In addition, tinyBuild has offered to provide Steam keys to anyone who expresses interest in joining the race. Keys will become available when the game releases on July 17th. That allows for only 3 days of practice, so please contact us as soon as possible via twitter or staff@speedrunslive.com if you are interested in getting a key on release day. As the keys become available, we will announce it on our twitter account, so be sure to follow! Goal clarification: Start on "Ok?" prompt after selecting mushroom cup. .done after final lap of Rainbow Road. Final lineup: abney317, flippy_o, plus two more players to be determined. Commentary provided by firedragon764, Golden, and SpikeVegeta. Goal clarification: Start on 1-1 level select screen. .done at cutscene after final level. Rules: Start from fresh file. Both PC & XBox versions allowed. No wrong warp. No alt glitch. Final lineup: Vopeju, Hamb, Sovlo, SilverSnake83. Commentary provided by MisterMV, Golden, and SpikeVegeta. Route: Exarion has made a route description which you can find here. Goal clarification: Start on "NEW GAME" select. .done on jingle after beating rival's final pokemon. Rules: See rules listings on leaderboards page. Saving is allowed. Final lineup: Exarion, Dailyleaf, WasabiKnight, SinStar20. Commentary provided by Werster, Golden, and SpikeVegeta. We hope you like the games we've selected, but we need your help! There are going to be a LOT of new players looking for beginner tutorials for these games. If you speedrun one of them, please let us know if you'd be interested in creating a helpful speedrunning guide! Streaming is required for all 3 races. The race will take place on our IRC server. If you're not sure how to get started, you can use the step-by-step guide in our FAQ.  You can also join #srl.help on our IRC server if you have any questions about using our racing services. 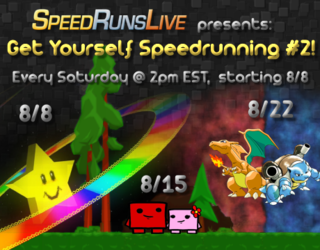 Join the Get Yourself Speedrunning races every Saturday from Aug. 8th - 22nd @ 2pm EST / 7pm GMT, and help to make them as big as possible! Additionally, Elgato Gaming has been kind enough to offer a brand new capture card for the event! The top 20% placing entrants of each of the 3 GYS races will be added to a pool of names, from which one winner will randomly be drawn. It's possible for 1 player to have 3 chances to win by placing in the top 20% of each race, so practice up and be sure to join them all! Huge thanks go out to Elgato for such a generous contribution. 8/11/15 update: Elgato has provided 2 more cards for us to offer as prizes! A winner will now be randomly selected from the top 20% placing entrants of EACH race. The Mystery Tournament is one of our favorite events to host, and is always a popular one. The idea is that when you join the tournament, you submit a small set of games into a game pool. As people compete in 1v1 races, they pull a game from this pool. You never know what you might get, and that's what makes it perfect for veteran and novice speedrunners alike! More info and previous brackets available at the Mystery Tournament website. Be sure to follow the SRL Mystery twitter for announcements as registration approaches! The Speed Gaming League is a competition organized by feasel and mithical9, designed to test a player's ability to learn a game quickly under a strict time constraint. Four participants each get a week to practice a specific goal of a given game. After that week of preparation, the players race to see who can get the fastest completion time of the goal within 30 minutes. Also featured each week is a mystery game, where the players get a mere 1 hour to learn and compete in a specific goal. SGL has held over 50 matches since it began in 2013, and during that time has pinpointed some of the best players in the speedrunning community. This fall, these players as well as some new faces will be going head to head to determine a champion of the Speed Gaming League. You can find full details about SGL at http://speedgaming.tv or follow SGL on twitter at http://twitter.com/SpeedGamingShow. More information on the tournament will be revealed there as it becomes available. Perhaps one of the most highly-anticipated games of 2015, a race of Mighty No. 9 on its release day might prove to be one of the largest races that SRL has ever seen. Let's make it happen! We encourage players to enter without having played the game. Founded by BadBrakes, the Best Of NES marathon shows off a large set of NES games, run exclusively by their respective world record holders. Who could say no to a stream of some of the most nostalgic games around, run by the best of the best? More information can be found on the website http://thebestofnes.com, and you can follow BestOfNES on twitter for news and announcements. It's going to be a fun-filled rest of the year with everything going on, and new events are popping up all the time! Be sure to also check out the Super Mario World tournament , and the Final Fantasy 4 tournament, already in progress. If you know of anything else happening this year, be sure to let us know so we can help get the word out!